“The Imperial City” walking tour of Saint Petersburg shows you what is so grand about the capital city built by Czar Peter the Great to make Russia proud. We meet by the church of the Savior on Spilled Blood – dedicated Alexander II, the “czar-liberator” who set Russias’ peasantry free and was… assassinated by the people in 1881. We stroll through back streets and along scenic, hard-to-find, canals. 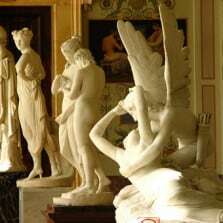 We discover the Russian museum – our city’s “other” great museum, and the depositary of Russia’s unique artistic heritage. We dramatically run on to the city’s High Street – Nevsky Prospekt. We explore this grand avenue, where the heart of the city beats. Cutting through unexpected corners around this geometric city, we run into the city’s grandest imperial ensemble – palace square, with Alexander’s Column and the Winter Palace all in sight. 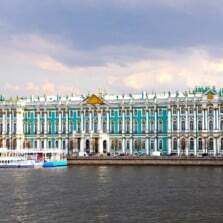 Our tour ends outside the Hermitage Museum – built as the residence of the czars of Russia, and today one of the oldest and richest museums in the world. The discovery of Saint-Petersburg starts with this itinerary and with the czars of Russia. 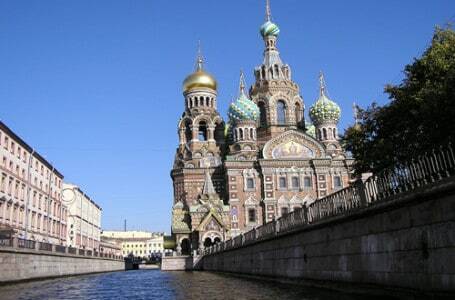 We meet at the back of the Church of the Savior on Blood (canal to your left as you face the Church). This is the meeting place for our Imperial City Tour. Tour starts on time at 1pm and lasts a leisurely 90 minutes. We meet outside the Church of the Savior on Spilt Blood (the side closest to the canal). Advanced reservation is required and can be made up to 24 hours in advance. This tour ends on Palace square, across from the Hermitage, near metro station Admiralteyskaya.